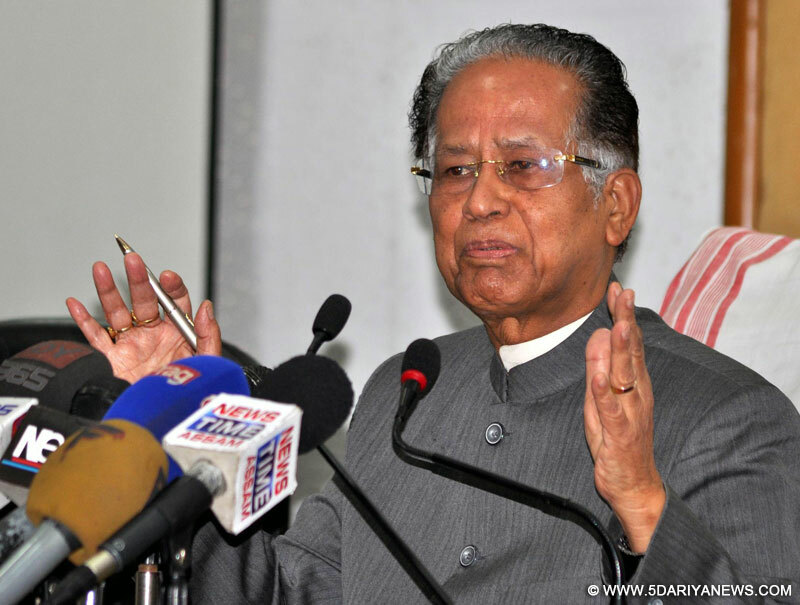 In view of the growing religious intolerance allegedly promoted by the BJP and its fringe groups, Assam Chief Minister Tarun Gogoi on Wednesday appealed to all secular forces to come on a common platform to defeat communal and divisive forces in the country.Gogoi said the Bihar assembly elections would be the right platform to demonstrate the solidarity of the secular forces to defeat communal and divisive forces and urged everybody to show their allegiance to secular parties.He also urged the voters of Bihar to vote for secular parties to defeat the sinister designs of communal forces to drive a rift in society.The Bihar elections are crucial to choose parties that stand for communal harmony and economic development over other parties that are encouraging anti-poor policies, discord and communal tension, he said. "...in the last few days there seems to be a deliberate attempt by certain forces to create communal tension and vitiate the atmosphere. A few incidents that have taken place in the country are clear examples of how a minor tiff snowballed into a situation of communal cauldron," Gogoi said.Putting the Bharatiya Janata Party (BJP) and its allies in the saddle in Bihar in such a situation would jeopardise the age-old communal harmony in society, he added.The three-time Assam chief minister had on Tuesday hinted that the Congress was open to a post-poll alliance with rival parties like the All India United Democratic Front (AIUDF), the Asom Gana Parishad (AGP) and the Left parties to keep the BJP away during next year's assembly polls in the state.